Jump into a cool career. This 160-hour course is designed to give students the knowledge and skills needed to work in the Heating, Ventilation and Air Conditioning (HVAC) industry. You will learn industry terminology, proper use of tools and test instruments, and techniques that will make you much more employable and profitable to prospective employers. Additionally you will learn basic trouble shooting and repair techniques which are needed to work in the HVAC industry. 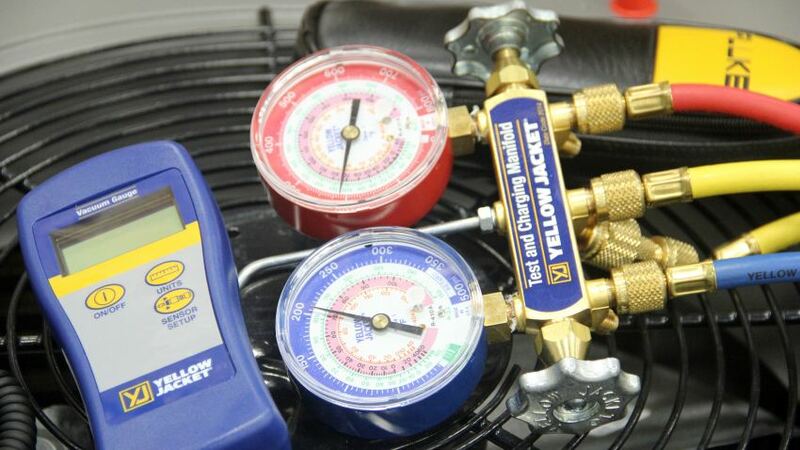 This course prepares students for the NCCER Levels 1 and 2 Certifications and the EPA exam on the Federal Clean Air Act – Section 608 which is required to purchase or handle refrigerant. Register for classes online using the Thomas Nelson Workforce Development registration system.